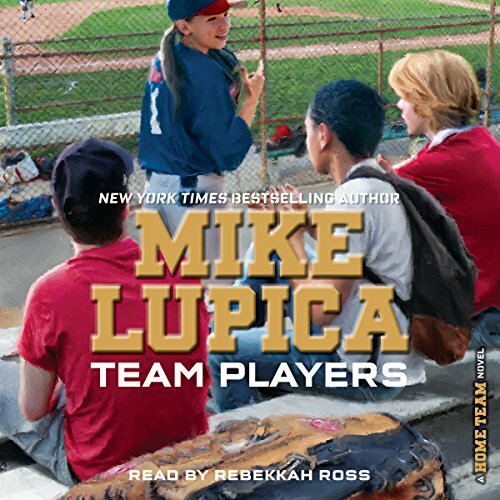 Cassie must learn that you can't "fix" someone else after a girl with Asperger's joins her softball team in the fourth and final book of the Home Team series from New York Times best-selling author and sports-writing legend Mike Lupica. Cassie Bennett is great at being in charge. She always knows what to do to lead her teams to victory, keep her many groups of friends together, or fix any problem that comes her way. So when Sarah Milligan, an autistic girl with unreal softball skills, joins Cassie's team, Cassie's sure she can help her fit in with the team. But before long it's obvious that being around so many people is really hard for Sarah, and the more Cassie tries to reach out and involve her, the more Sarah pushes her away, sometimes literally. It doesn't help that Cassie's teammates aren't as interested in helping Sarah as they are in making sure they make it to the new softball All-Star Tournament that'll be televised just like the Little League World Series. Soon no one seems to even want Sarah on the team anymore besides Cassie, and the harder Cassie tries to bring everyone together, the worse things seem to get. Cassie Bennett never backs down from a challenge, but can she realize that maybe the challenge isn't fixing a problem in someone else, but in herself? Or will her stubbornness lead her to lose more than just softball games?